Light & Darkness Radio: Featured Today! "Immortal Souls, Karelia..."
Been kinda busy with new music and encoding, so I apologize for the random delays on putting the Featured bands posts, so here's today featured bands! Immortal Souls (FI) - In December 1991 Aki Särkioja (bass, vocals) and Esa Särkioja (guitar) founded Immortal Souls. During the years 1992-1994 Immortal Souls recorded some demo tapes including a tape called Vision of Hell (1993). These demos have never been officially published. In 1994, the drummer Antti Nykyri joined the band. At the end of January 1995 the band recorded a demo tape called Immortal Souls, which included six songs. 100 copies were made of the demo tape and it contained straightforward heavy metal with growl vocals. After the Immortal Souls demo, all of the band's album covers have had a wintry theme in the artwork. Nykyri left the band after one year due to other personal interests. During the years 1995-1996 Immortal Souls wrote new songs and shaped their musical style. At the time, the band members were interested in doom metal style, and with that influence they recorded their most depressing and oppressive demo called Reflections of Doom in November 1996. The most stylish output of the doom metal experiments was a song called “Realm Of Hatred.” In the recording sessions Immortal Souls had to use a drum machine, because a new drummer Jupe Hakola was signed in a couple of months after the recording sessions. The song “Hate Sender” was published in the TOB zine's 7- inch vinyl record. The song “I`am Me” was published later on the From Kaamos To Midnight Sun compilation album. Also songs "Hate Sender", "I am Me" and "Realm of Hatred" were later published on the Once Upon A Time In The North compilation album as remastered versions. After the release of the demotapes, Immortal Souls signed a record deal with a Finnish record label called Little Rose Productions. At that time the band had already left behind the doom metal influences and their musical style had changed to fast, melodic death metal and the winter theme in the lyrics had settled as a regular. Their first recording with the new style was Divine Wintertime EP, released in 1998. It was published as a split-CD with the dark metal band called Mordecai (Through the Woods, Towards the Dawn EP). This publication got a lot of appreciation among the metal fans and the song “Snow Soul” became one of the most top-rated Immortal Souls song. Growing amount of concerts required additional members to the line-up. In 2000, Pete Loisa (rhythm guitar) joined the group when the band was preparing to record their first full-length studio album. From the material of the February 2000 studiosessions at the Studio Watercastle was first published the Cleansing EP which gave a taster of the forthcoming album. The debut album Under the Northern Sky was published in 2001 and it is perhaps still the most top-rated Immortal Souls album. At that time Little Rose Productions was closing their operation, and therefore the band started to search for another publisher. Immortal Souls had already connections (as a distributor) to the record label called Fear Dark from Netherlands, and therefore the deal was easy to make for both the band and for the record company. After signing the deal, the band made a Central European tour. They also became a regular performer in the record labels` annual Fear Dark Fest events. After the tour Immortal Souls started to write new material and in November 2002 they went to Studio Sonic Pump to record the next album called Ice Upon the Night. This album made the band more known also in Finland and it opened the opportunity to perform in the Tuska Open Airmetal festival in Helsinki. This album is licensed to the US and Canada by the Facedown Records in the year 2004. Band made occasional concerts through the year. The drummer Jupe Hakola decided to leave the band and he was replaced by Jukka-Pekka Koivisto. But Jukka-Pekka Koivisto had to leave the band after Germany-Switzerland tour because he was busy with his other band Silent Voices new album recordings. 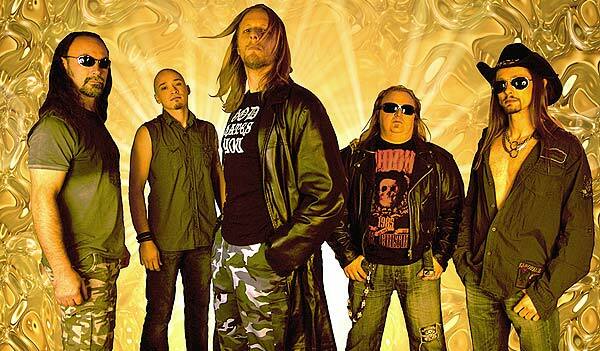 The band found a new drummer from the close friends circle, in early 2005, whenJuha Kronqvist joined Immortal Souls. Because the Immortal Souls publications had been sold out long time ago, the Fear Darkdecided to publish them as remastered versions on the Once Upon A Time In The North 2 CD-compilation album at the end of 2005. From the label request, Aki Särkioja wrote the publication history into the compilation CD cover booklet. The band started to write new material and played occasional concerts at the same time. 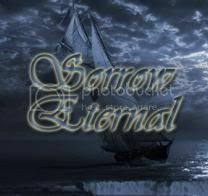 In 2006, Immortal Souls announced at their website that they were working on a storybased concept album, which was to be called Wintereich. The band went to the studio in December 2006. The album was mastered in the first quarter of 2007. The new label Dark Balance based released Wintereich on June 1, 2007. Like the album Ice Upon The Night in 2004, Wintereich has been distributed by Facedown Records and was released in the U.S. on August 21 of 2007. On May 22, it was announced that the band is working on an album titled "IV: The Requiem for the Art of Death." This album have a release date 10/07/2011 on Europe!. Karelia (FR) - Karelia was founded seven years ago with a deep will to play a popular and multi-layered metal, staying away from clichés or genre-typical settings. Next to Matt Kleiber (founder vocalist and composer), the current line-up consists of Jack Ruetsch (guitar), Erwan Morice (guitar), Loïc Jenn (drums) and Gilles Thiebaut (bass). Following the release of their self-produced demo and shows with acts like Kamelot, At Vance, Vanden Plas and Dyslesia. Karelia signed in 2003 with Drakkar/Sony-BMG and released their debut, Usual Tragedy, in spring 2004. Music was opulent, it included driving drum parts, progressive rhythms and hard-as-nails guitar riffs, anthemnic choir parts, imposing strings arrangements and numerous cross references to the time of the great classical composers. Usual Tragedy met great success as a debut, and especially in Japan (ranked 4th in the “Burrn” magazine metal charts), Germany, Russia and Brazil. Reason enough for Drakkar/Sony-BMG to sign up a new Karelia’s recording with even more ambition. But the band cannot stay motionless, and they changed some stylistic aspects of their music: vocals get really personal, songs turned into mid-tempo numbers, fast double bass and technical virtuosity almost disappeared. Some classical arrangements turned into electro sounds. It was dealing with Nazi’s rise in the 30’s Germany, religion wars, US McCarthyism… Songs were more versatile and dynamic than their debut. It also included an amazing Pink Floyd cover. The album was called Raise. A press conference gathered the whole German metal press for a listening session and the album was greeted with full applause. But at time of release (spring 2005) it clearly seemed that the audience was very surprised by Karelia’s new work, heavy-metal fans were obviously disappointed by the band’s transformation. Sales were not as high as the debut. Still, Karelia shared the stage with The Gathering, Crystal Ball, Nightmare, Dagoba. Still in move, Karelia composed a third album… turning out dark electro and pop at the same time. Symphonic heavy metal is obviously miles away. Guitars get loud and aggressive, lyrics get really insane, but all songs get a head bangin’ groove and obsessive gimmicks able to reach anybody… still having phobia about clichés, they added “Moby” and “R.E.M.” covers in the album. The band signed up with the US/French label Season Of Mist. In the same way, Music For Ever, the French management production company, decided to put Karelia right under its wing and to place the band in opening of all Scorpions French gigs. Then Karelia had incredible opportunity to play in front of thousands people. The band could also notice that their catchy new songs get incredibly attractive on the audience, and that the appeal goes far beyond the metal borders as well. News gigs on tour with Scorpions come, and the third album, called Restless, is released by Season of Mist on April 2008… the audience reactions are radical once again! Album is promoted by many shows opening for Scorpions, Freedom Call, Die Apokalyptischen Reiter. Then, Replica Records took in charge Karelia’s promotion in France through Radio France Inter, Rock Hard magazine and many metal medias. Their newest album "Golden Decadence" Featuring R. Schenker (Scorpions) has been completed but there is still a TBA so stay tuned on L&DR you will hear it as soon is out! \m/.